Is a director of the Public City Library in Chisinau (the only gubernial library that was sustained by the state) from 1884 until 1917. For training herself went to Harkov, Poltava and Odesa in 1899, during this trip she created the the alphabetically-systematic catalog of books for a more effective record of literature. In 1889, from her own initiative, is organized the Librarians Congress, and were discussed topics of how Improving the Systematic Catalogues, Organization of a unique catalogue for magazines, Improving the services for children in libraries. During 30 years of activity she is setting the library activity on large principles, scientific and democratic ones in correspondence with the needs of that time: encourages librarians to step up the work of clarifying and encouraging the reader; allows children from poor families to read in the library; practice the question-inquiry method for better way of sustaining of the library with the necessary literature; introduces the “Literary Critique” file, etc. 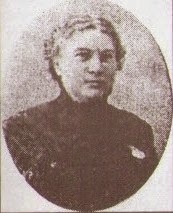 Shee participated, as a delegate, at the First Congress of Librarians of Russia (1911, Sankt-Petersburg), where she presented a report of the Library in Chisinau and became acquainted with the activity of various libraries. In the same year she visits 20 libraries in Volga and Kama and at their request makes a comprehensive description of her library’s work. She has close ties with famous librarians: L. Nemoleatki, O. Nikolski, M. Globa, etc. Daria Harjevschi has greatly contributed to improving the city library’s activity in improving the service system and cataloging system. She has pursued a wide range of cultural activities establishing the Drama Arts Amateur Society, a Popular Theater, etc.